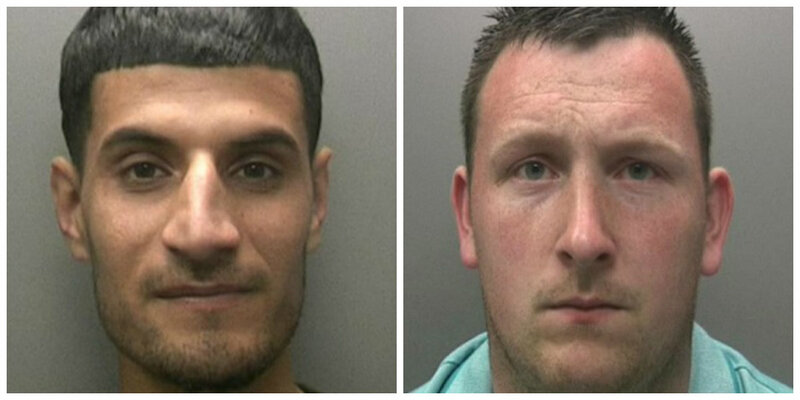 Two Birmingham men who were driving through the city at speeds of up to 130 mph have been jailed. 22-year-old Bashir Ahmedzai was racing 26-year-old Lee Round when he smashed into the side of driving instructor Kathrin Davies, 51, as she pulled out of a junction on Bristol Road South. Round's Audi, following close behind, went straight into the Golf, with all three cars left wrecked. She was left with brain damage. The pair have got almost 4 years in jail between them and disqualified from driving for two years. Ahmadzai, of Rotten Park Road, Edgbaston, and Round, of Larks Close, Kings Heath, expressed "genuine remorse'' at the court case in Birmingham. Afterwards, Miss Davies's lawyer Richard Langton, of Slater and Gordon, said: "All too often lives are lost or changed forever because of motorists who speed on the roads. "Kathrin was lucky to survive, but she still faces a long rehabilitation.